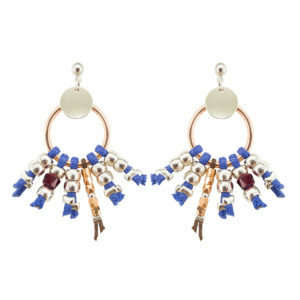 Bouncy Earrings are perfect for bohemian chic style in Manola way! 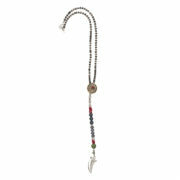 This pair of earrings are made with silver colored metal coins, black crystal beads, heart pendant and lucky red cord. 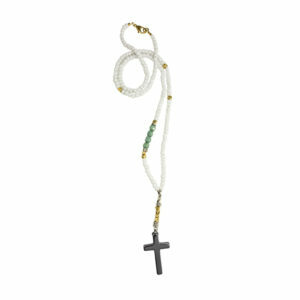 There is a mix of gold plated beads that makes them look special and unique. 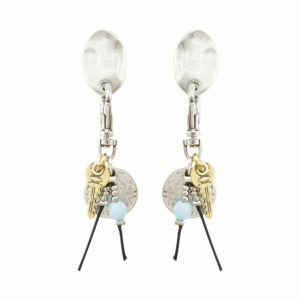 Dangle earrings with push back closure for pierced ears. 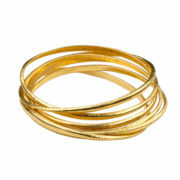 This vintage inspired Manola accessory you can wear with flowy dresses & tops, jeans, denim shorts. 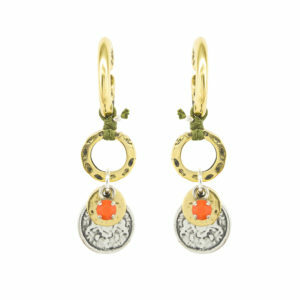 Stand out with your new statement Bouncy Earrings! 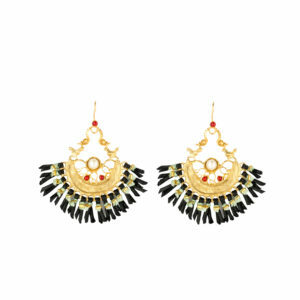 Get yourself a pair of Bouncy Earrings to make your look more trendy and remarkable! You can wear them with any kind of outfit you want. – casual, elegant or for a night out. 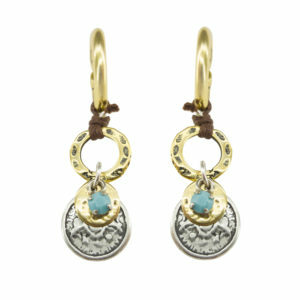 Just show your boho and free spirit with your new statement Bouncy Earrings by Manola jewelry.